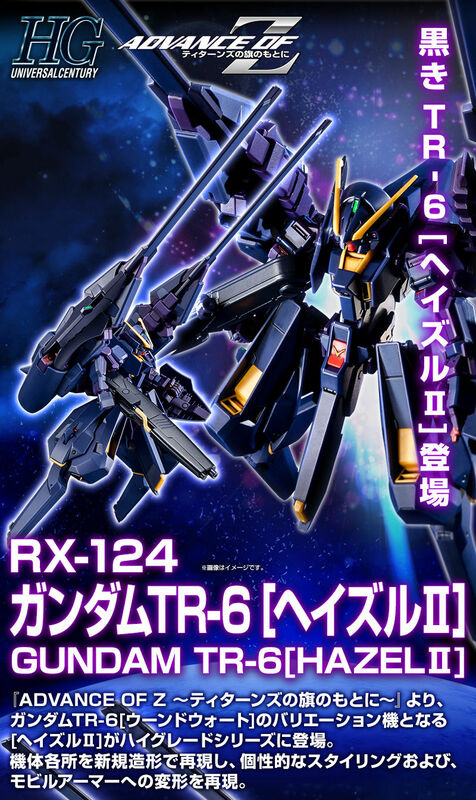 TR-6 [Haze II] which is a variation machine of Gundam TR-6 [Woudwort] has appeared in the high grade series. Reproduce unique machine specification with new molded parts and molded colors of Titan's color! ● Reproduce the aircraft shape of [Hazel II] with new shaping and additional parts! Beam · rifle, rear armor (boost pod), arm part strengthening parts (shield), etc. are three-dimensionalized by new modeling. Two composite shield boosters are available. The shape of the characteristic beam rifle of [Haze II] is three-dimensionalized by new modeling. Rear armor, arm part reinforced parts are reproduced by new modeling respectively. Two units are included as a set. The change to the claw mode is also reproduced. 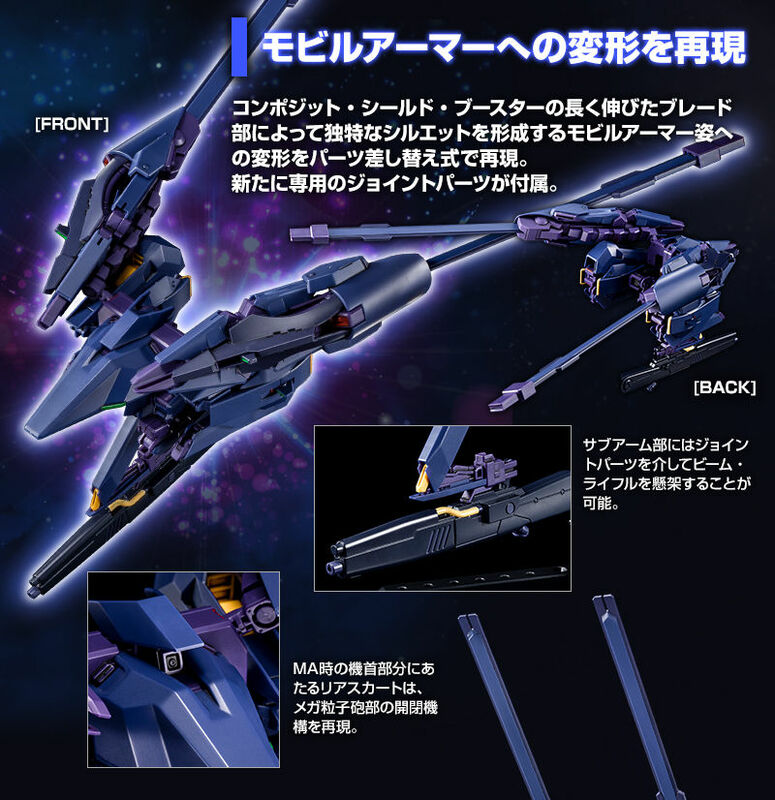 Reproduce the deformation of a unique silhouette into a mobile armor with parts replaced. Beam rifle can be suspended in sub arm part. Moreover, the mega particle gun part at the time of the mobile armor is equipped with opening and closing mechanism.